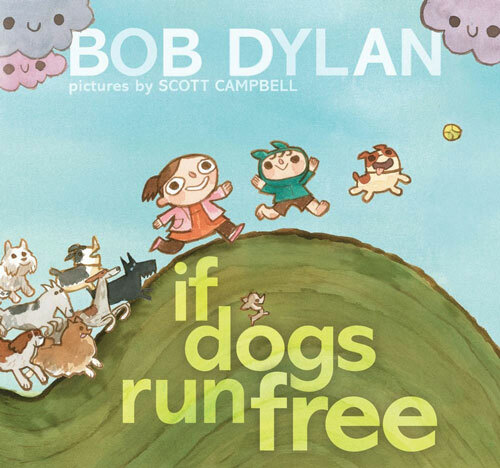 Maria Popova at Brainpickings recently featured this charming childrens book, If Dogs Run Free, with lyrics by Bob Dylan, accompanied by equally colorful pictures by Scott Campbell. Now if only dogs could play harmonica — wait, I’m sure there’s gotta be one on YouTube! I should show this to my husband, he is a HUGE Dylan fan! yeah, the authors should come with a companion CD…LIKE A ROLLING BONE! ← Hear Pets Aloud…at Litquake!